Welcome to our home page on the web and thanks for visiting us… We invite you to make yourself at home by exploring all of the information here on our website. 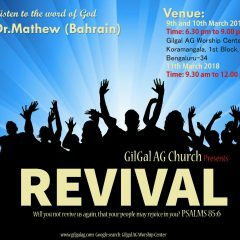 Gilgal AG, Koramangala is a church where you can feel the real presence of God and get transformed as true followers of Jesus Christ.. We invite you to join us for dynamic worship, life-changing experiences, and sincere fellowship. 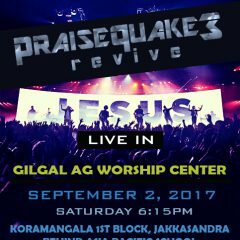 Gilgal AG church was a Pioneer work/ministry started by Late Pastor T. Samkutty in the year 1986. He was led to Koramangala by the guidance of the Holyspirit. This was an upcoming area in the City of Bangalore during those days with very few churches in that area other than the RC churches. He toiled for the Lord there and struggled a lot in the initial days of his ministry. There was nobody to support him and his family, but God was faithful. By faith he continued to minister in Koramangala and surrounding areas. Krupanidhi Institutions opened their doors for the services to be conducted. God has richly blessed them too. Our God is faithful. 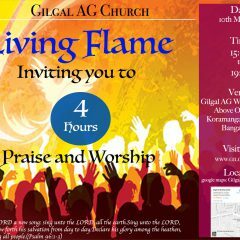 Today Gilgal AG Conducts worship Services every Sunday in Koramangala (In and Near Krupanidhi Institutions – Details of Location wise schedule can be seen in SERVICES Tab ), we also have an out-station church in Uttarahalli and Sarjapura. We have a committed Sunday school ministry and is growing at a very fast pace. The other ministries we are looking forward to be involved in are Media ministry, out-reach ministry, support ministry and personal evangelism. To be part of this growing movement, please get in touch with us. Come and be Blessed, God bless U Call us on 9845078348 or 9916777761 for English worship Call us on 7760600934 or 9880077023 for Kanada Service Call us on 9886212170 or 9880077023 for Malayalam Service. 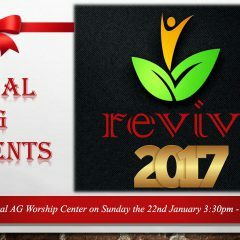 Worship Timings at Gilgal AG Worship Center. Near Jukkasandra Bus Stop, Koramangala.